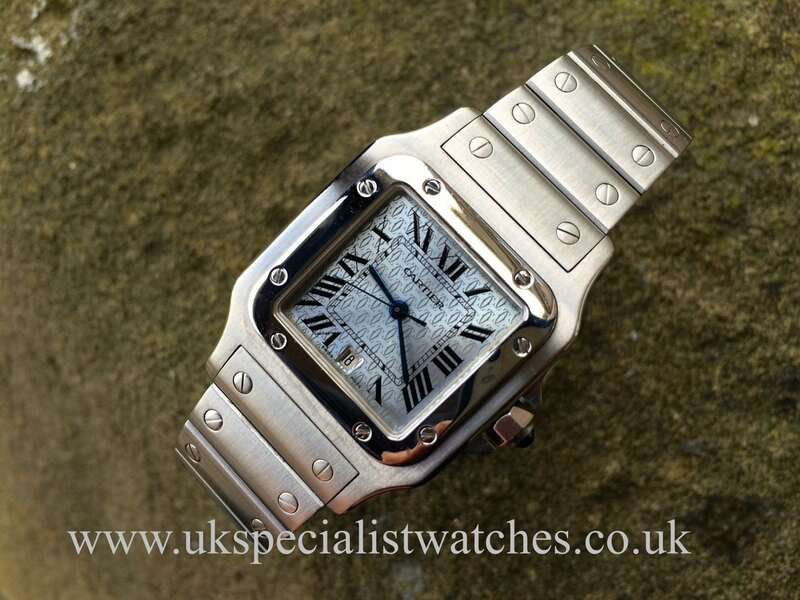 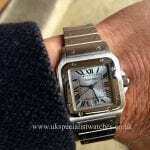 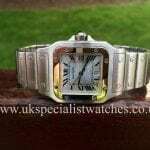 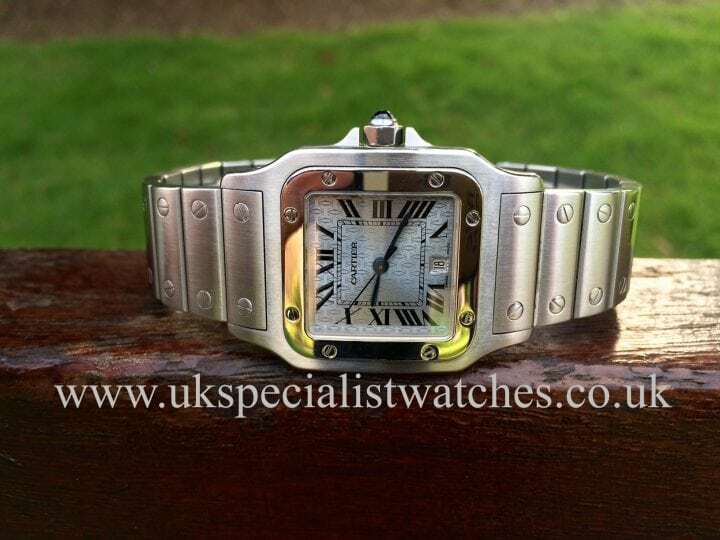 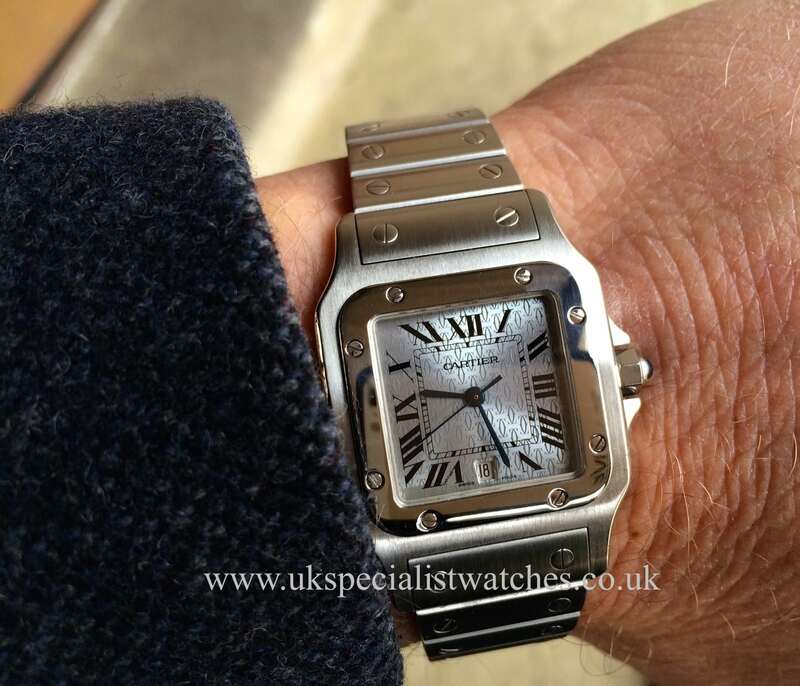 Cartier Gents Santos Galbée. 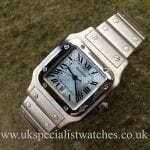 30 X 40 stainless steel case with this very rare and stunning Platinum ice Blue dial splashed with the Cartier trademark. Roman numeral hour markers blued steel hands, date aperture at 6 o’clock, stainless steel polished bezel held in place with 8 screws. Solid link bracelet with hidden deployment clasp. 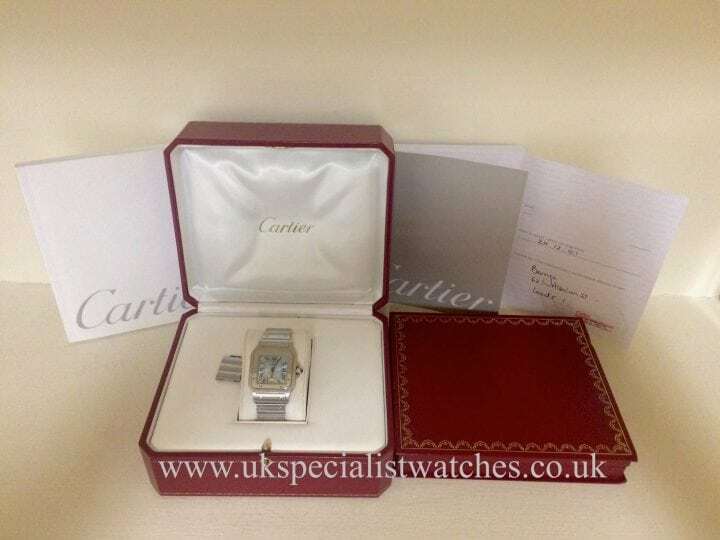 Our watch is in exceptional condition still with the case back sticker intact. 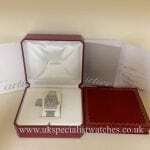 Comes complete with all boxes and booklets UK supplied Dec 2001.